When I was a little girl we sometimes went over to Carmella’s house to visit. Carmella was the sister of my mother’s friend. Whenever we visited, Carmella always had these cookies on a covered plate on her dining room table. I would wait patiently for her to grab the plate and ask me, “Would you like one?” The answer was always yes, and I’m sure she knew it always would be. These cookies probably have a hundred different names, but no matter what you call them they are delicious. I don’t make them often because to me they are a special cookie. In fact, it’s been a few years since I have made them. They are cake-like, light yet rich, not too sweet, and just perfect. Not to mention they are so simple to make, and one recipe yields a ton of these little suckers. Start by mixing up your dough. I use the Kitchen Aid mixer and not the hand-held for this one. It’s a stiff dough to mix up, and the power of the Kitchen Aid handles it best. 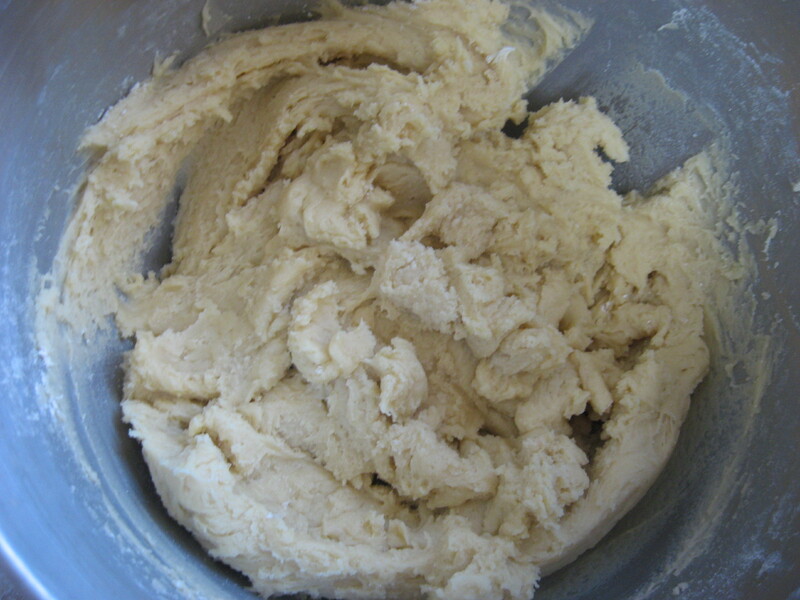 Once the dough is mixed it will be stretchy, not sticky. 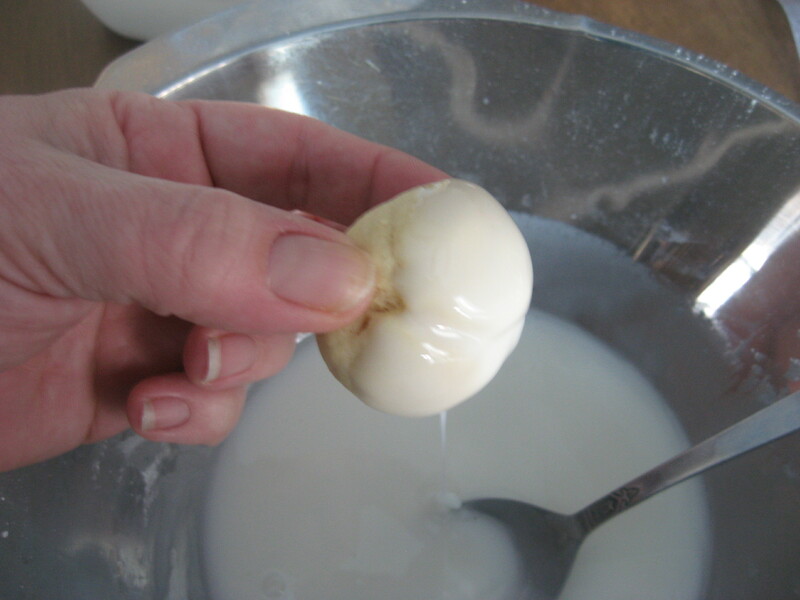 Begin grabbing teaspoon sized pieces of dough and rolling them into approximately 1″ size balls. Place them on an un-greased cookie sheet. You can space these pretty close together since they are not going to spread, but they will puff up. I got about 20 of them on this cookie sheet. Place them in a pre-heated 350 degree oven and watch them. These took me about 10 to 12 minutes to finish. You want them still light-colored on the top and a light golden brown on the bottom. These are perfect. Don’t mind the cracks. That’s normal for these cookies, and when you glaze them, you are not going to see it anyway. Set the cookies out on wire racks to cool. Once cool mix up your glaze. Your are looking for a consistency like thick, warm syrup. Dip each cookie into the glaze and swirl it around. After dipping, place the cookies on a wire rack with some aluminum foil or wax paper underneath to catch any drips. 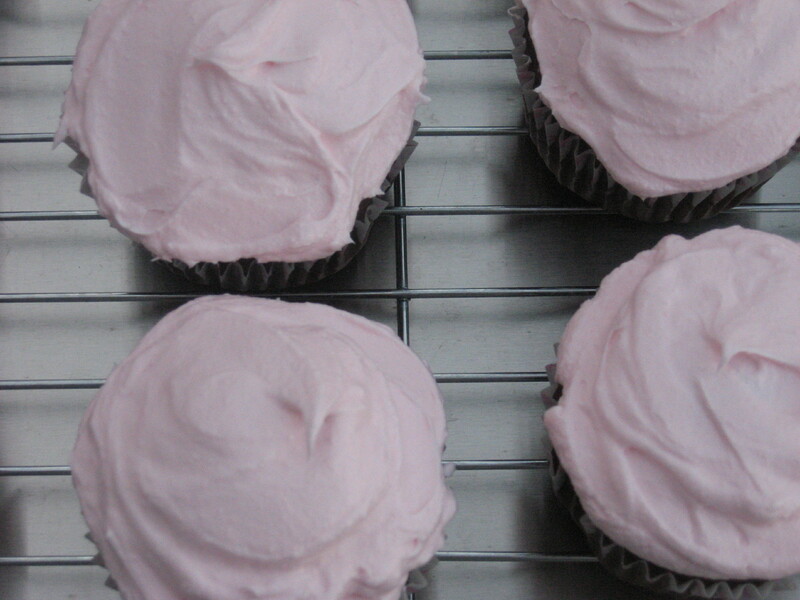 Before the icing dries, shake on some sprinkles. 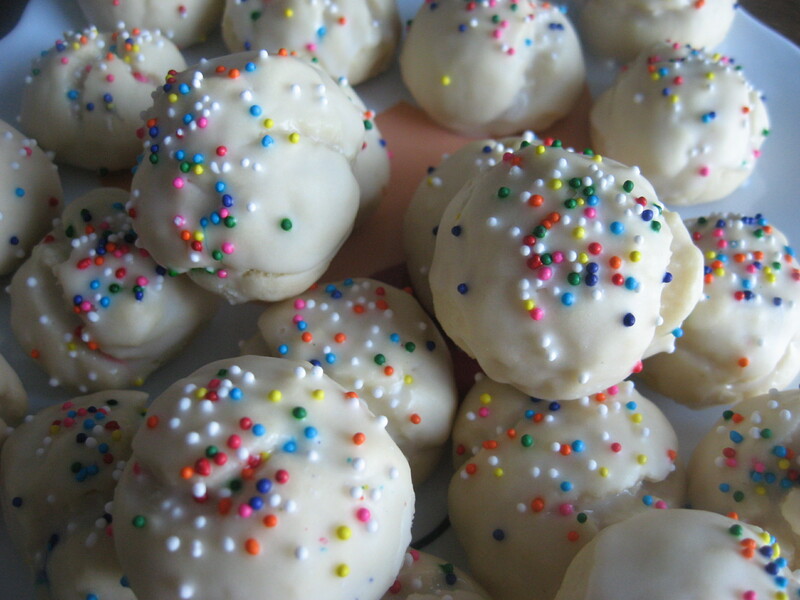 Even if I made these for Christmas, I always use the rainbow-colored nonpareils. Just call me weird. Let them dry and then place them in an airtight container. Then try not to eat ten of them in one sitting, and yell at your children and their friends when they come over and start stealing your cookies! Wait until you are just ready to glaze the cookies before mixing up the glaze ingredients. Begin with your powdered sugar in a large bowl and add in 2 Tbsp. of milk. Stir well. You are looking for a thick and warm syrup consistency. If you need to add milk, do so by adding it in 1/2 Tbsp. increments until you reach the desired thickness. Cream together the butter and sugar. After well blended, add in the eggs one at a time, followed by the extract of your choice. In a large bowl mix together by hand the sifted flour, baking powder and salt. Begin adding this to the egg mixture one cup at a time, blending well before adding the next cup. 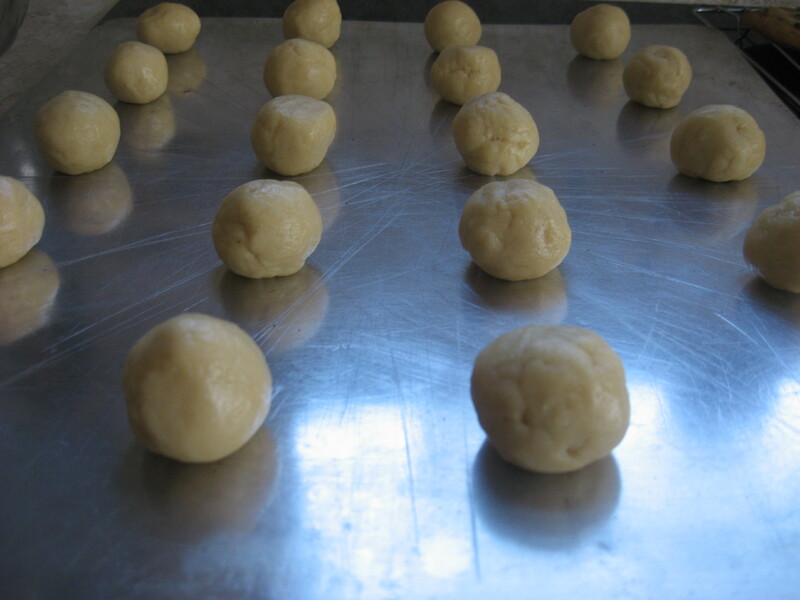 Once your dough is completely mixed together, begin pulling off teaspoon size amounts and rolling them into balls. Place each ball on an ungreased cookie sheet. You only need about an 1 1/2″ between each cookie. They won’t really spread, but they will puff up higher. I am able to get 20 on a standard size cookie sheet. Bake for anywhere between 10 – 12 minutes, watching cookies closely once you get to the 8 minute mark. The tops will remain light-colored, but you are looking for a light golden color on the bottoms. Allow to cool and then mix up your glaze. Line your surface with some aluminum foil or wax paper, and place your cooling racks on top. Dip each cookie into the glaze, swirling as you lift it out. Place each cookie on the wire rack for the icing to cool and harden. Before glaze hardens, top with sprinkles or colored sugars. Allow to fully cool and place in an airtight container. Enjoy! NOTES: This original recipe called for 6 egg whites. Years ago I decided I was going to try these with 6 whole eggs. The result was EXACTLY the same. Poor Carmella probably had to find other ways to use those 6 egg yolks all those years, when she could have just been throwing in the whole egg. The original recipe called for Anise flavoring, but I’m not a real fan of Anise. Although, even in these cookies I like them. 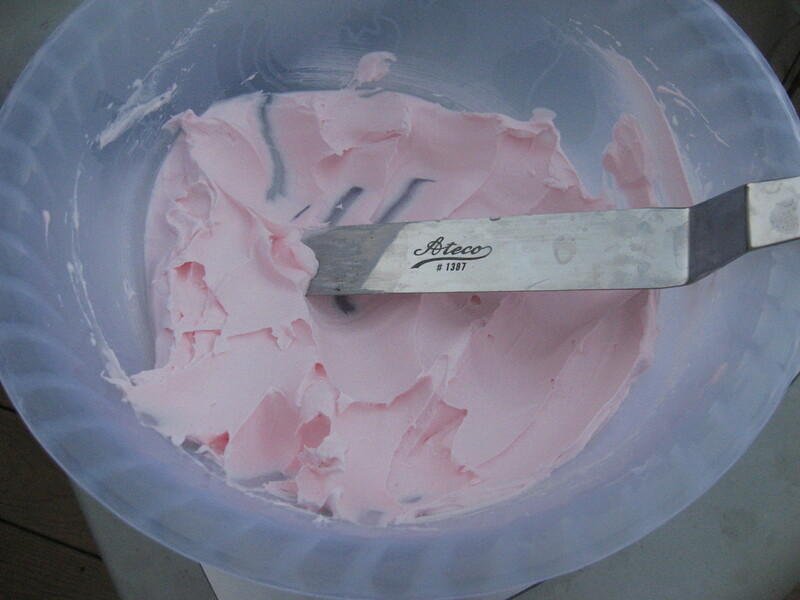 But I’ve used Vanilla and Almond extracts since then, and they always come out great. Don’t be concerned with the tops of the cookies cracking once they are baked. That’s normal and won’t effect the cookie at all. 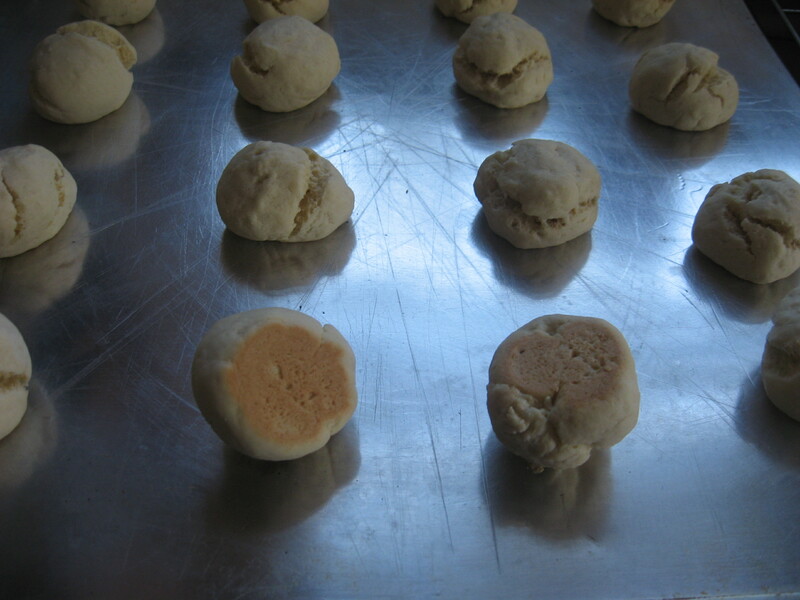 Recipe will yield 60 – 70 cookies.